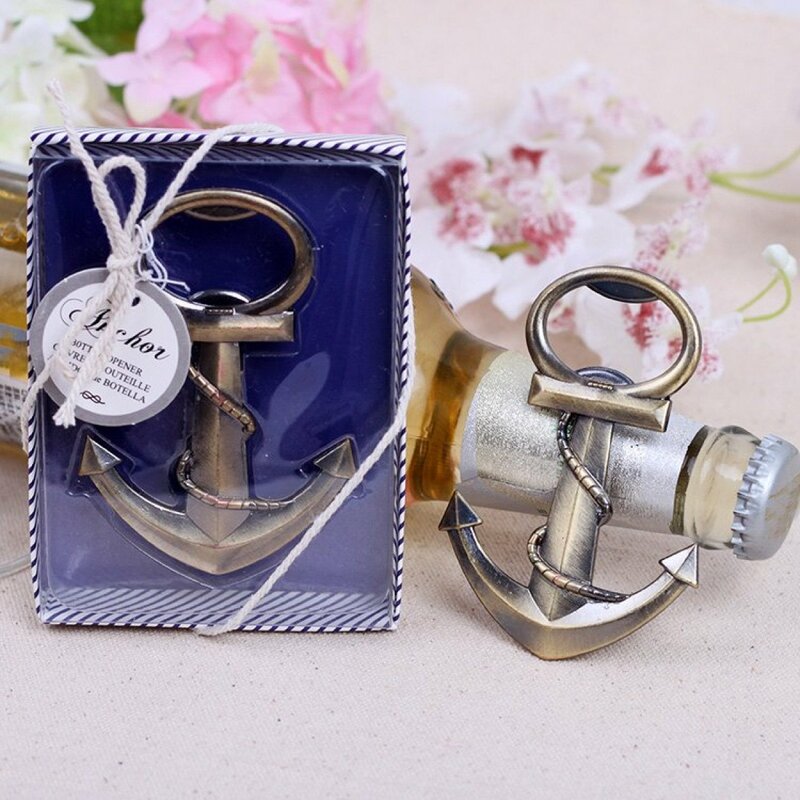 Beautiful and rustic, these Nautical Anchor Bottle Openers are perfect for any nautical themed event! Both practical and unique, your guests are sure to be pleased with these! Each bottle opener is cleverly packaged in a blue themed card box with clear PVC lid as shown. Measures: Bottle openers 8.7cm high x 6cm wide. Gift box Width 8 cm, Length 11 cm, Height 2 cm.